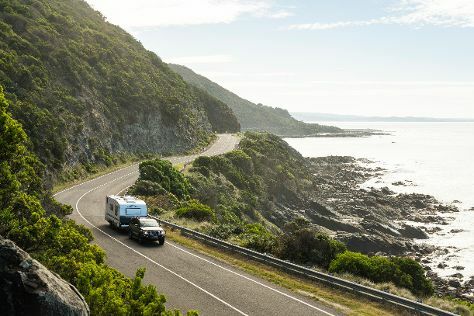 Your day-by-day itinerary now includes The Great Ocean Road, Immigration Museum, St Paul's Cathedral, and other attractions you added. Eschew the tourist crowds and head to Ballarat Wildlife Park and Lake Daylesford. Get out of town with these interesting Melbourne side-trips: Art Gallery of Ballarat (in Ballarat) and Wombat Hill Botanical Gardens (in Daylesford). And it doesn't end there: admire nature's wide array of creatures at Melbourne Zoo, see the interesting displays at Melbourne Museum, take in panoramic vistas at Eureka Skydeck 88, and don't miss a visit to Blindside Gallery. To find maps, photos, other places to visit, and tourist information, you can read our Melbourne travel route planner. February in Melbourne sees daily highs of 32°C and lows of 16°C at night. Finish up your sightseeing early on the 10th (Sun) so you can travel back home. St Kilda is an inner suburb (neighbourhood) of the metropolitan area of Melbourne, Victoria, Australia, 6 km south-east of Melbourne's Central Business District. Start off your visit on the 6th (Wed): kick back and relax at Elwood Beach and then enjoy the sand and surf at St. Kilda Beach. To find other places to visit, photos, more things to do, and more tourist information, read St Kilda day trip tool . St Kilda is very close to Melbourne. 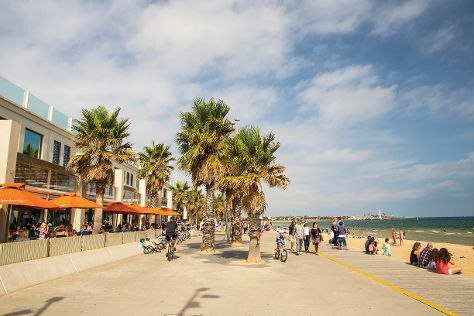 February in St Kilda sees daily highs of 30°C and lows of 17°C at night. Finish up your sightseeing early on the 6th (Wed) so you can go by car back home.